As a student, Dr. Engel was intrigued by research at interdisciplinary interfaces. Her educational training aimed to link geology and biology, geology and microbiology, and geochemistry and physics, and her research interests today reflect this early desire to be an interdisciplinary scientist. 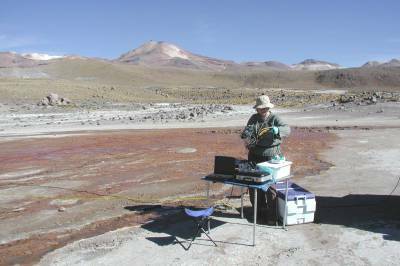 Her research interests span karst geology and geochemistry, the molecular microbial ecology of extreme environments and symbiotic associations, and on how life (microbes and animals) is distributed in a landscape through time, controlled by geological and environmental conditions. Dr. Engel holds a PhD from The University of Texas at Austin, focused on the disciplines of geochemistry and geomicrobiology. As a professor at Louisiana State University and most recently at the University of Tennessee, her goal is to teach and mentor students as close to disciplinary interfaces as possible. She has explored thermal extreme environments, including Yellowstone National Park in Wyoming (USA), El Tatio geyser field in the northern Atacama Desert, Chile, and the Tengchong geothermal area of China. Most recently, her research expanded to study the geochemical and physical parameters that influence change in marine microbial communities through time, such as from anthropogenic activities like oil spills or from sea-level rise. 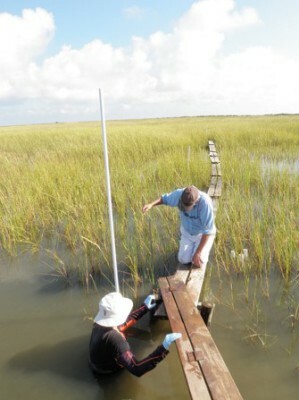 She has conducted research of sandy beaches and muddy coastal marshes. Her interest in symbiosis, which is the obligate association of two or more distinct species, has involved working on the microbiomes of cave beetles, alligators, and clams. In particular, her current research focuses on understanding the taxonomic, phylogenetic, and functional diversity of lucinid clams, their bacterial endosymbionts, and microbes within the habitat associated with vegetation, including seagrasses and mangroves. 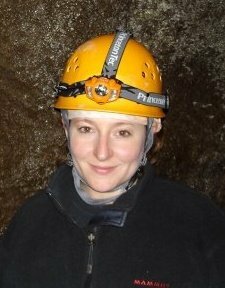 Dr. Engel has been an avid caver since her childhood, and she has done research in many cave and karst regions in the United States, and has also studied the Movile Cave in Romania, the Frasassi Caves in Italy, and karst springs and caves in Slovenia, Italy, The Bahamas, Mexico, and China. 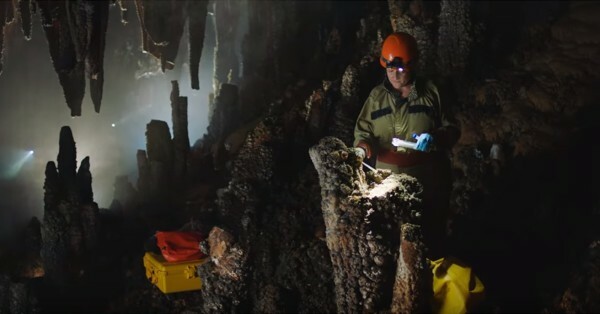 The focus of her karst research has been on systems influenced by sulfidic waters and formed from sulfuric acid speleogenesis. Dr. Engel is also actively investigating the biological diversity of caves in eastern Tennessee, which have potentially high levels of endemism but very little is known about the cave ecosystems. All of this research has been generously funded by the National Science Foundation, the Gulf of Mexico Research Initiative, Cave Conservancy Foundation, and other agencies. She has published over 60 peer-reviewed papers, dozens of other scholarly contributions, including large datasets, and edited five books. She has been an active officer and Board Member of the Karst Waters Institute since 2005, serving for 8 years as the Vice President for Communications. 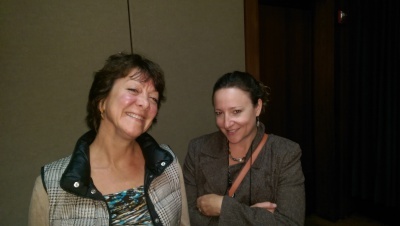 She currently is a Board Member of the Cave Conservancy of Hawai'i, the Cave Conservancy of the Virginias, chair of the student scholarship committee for the Cave Conservancy Foundation, and is on the International Advisory Committee for the International Society for Environmental Biogeochemistry. 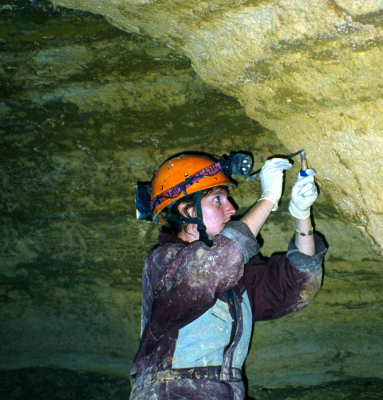 Dr. Engel has received awards for her photography, has been honored for her research and scholarship at both universities for which she has worked, is a past recipient of the James G. Mitchell award from the National Speleological Society, and is a past recipient of a Charles A. and Anne Morrow Lindbergh Foundation award. She is a Fellow of the National Speleological Society and the Geological Society of America, and is the 2014 recipient of the Science Award from the National Speleological Society. 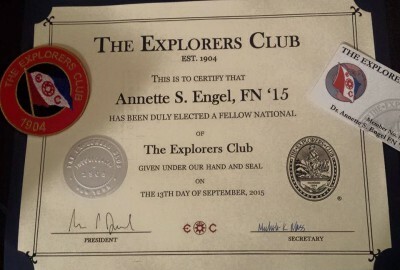 She was elected as a Fellow of the Explorers Club in 2015. In 2016, I (along with Audrey and Scott) had the chance to help film a short bit in a UT commercial. We filmed the cave portion "...down in the Tennessee hills..." in nearby Cherokee Caverns. The commercial played during breaks at fall football games, and in 2016 and 2017 the commercial was shown on all major television and cable networks. It was so much fun, and I hope to get a chance to do some more filming soon. Enjoy!